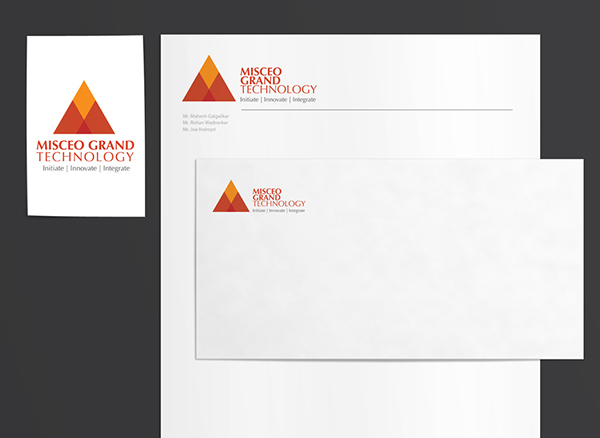 Misceo Grand Technology is a startup company. 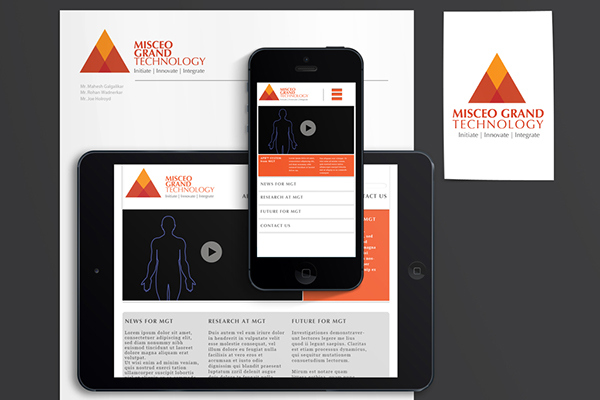 The company's mission is to get medical diagnostics and business under one roof for humanity. 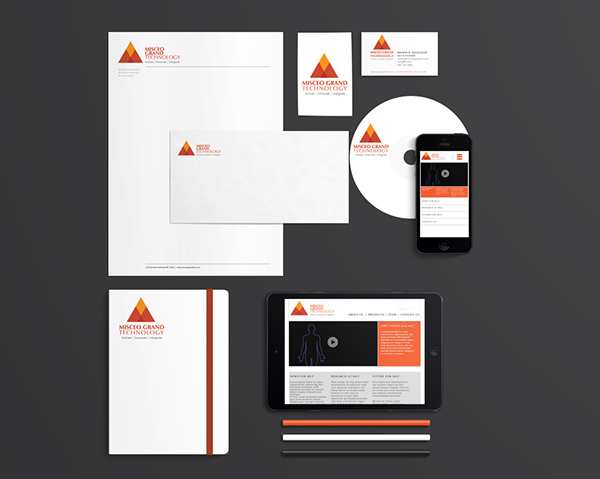 The identity & color choices represent the mission and energy of this young company.